Nothing warms the soul like a homemade soup, and this smoky, hearty one is sure to be your new favorite. Cook bacon in soup pot or Dutch oven until crisp. Remove with slotted spoon to paper towel-lined plate. Discard all but 2 tablespoons of the bacon grease. To the hot bacon grease, add onions, carrots, celery and garlic. Cook over medium heat until ingredients begin to soften, about 5 minutes. Add garlic and cook an additional minute. Stir in chicken broth and beans. Season to taste with salt and pepper. Bring to a slow boil; reduce heat to low and simmer for 1 hour. Transfer half of the soup to blender or food processor. Process until smooth. Return puree to soup pot and stir. Add tomato sauce and 3/4 of the reserved bacon and stir to combine. Let soup simmer until heated through, about 5 minutes. 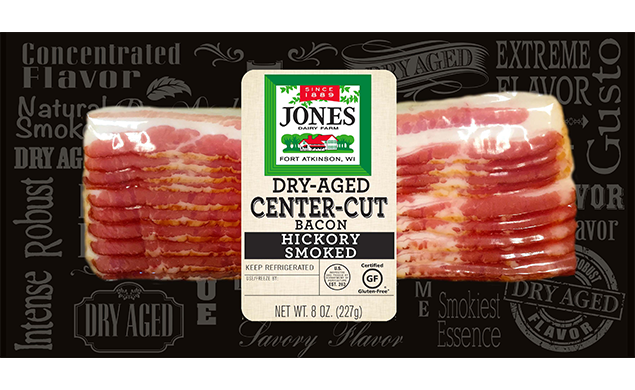 Serve topped with remaining bacon. Season to taste. I used canned navy beans but everything else was exact. This was easy, super delicious and is now on my favorite recipe list. Next time I am going to use great northern beans. 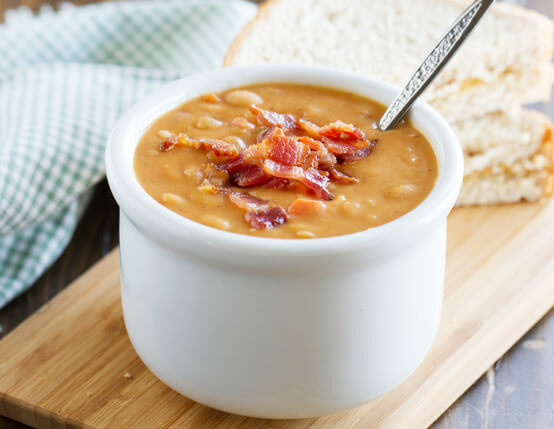 I followed this recipe almost to a T, and this was the best bean and bacon soup I've ever had.